How Many Hours Do Austinites Have to Work to Pay Rent? 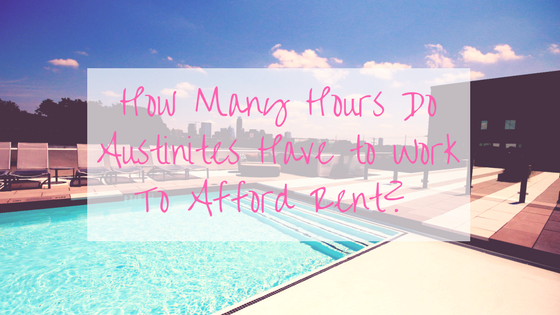 Wondering how many hours you have to work to afford an apartment in Austin? Culturemap reports on a study by SmartAsset that examines how many hours you have to work to make rent in the country's fifteen biggest cities. Turns out Austinites work 59.8 hours each month to make the $1,047 median gross rent. This number was determined by looking at the average hours worked weekly, average weeks worked yearly, median annual income for individuals, and the median monthly gross rent, as determined by the U.S. Census Bureau. While Austin’s estimated hourly wage is $17.52, our rent is also the highest of any Texas city in the report. Dallas residents only make $14 an hour, but their rent is $863, meaning they have to work 61.7 hours to pay rent. Renters in Houston make $13.91 an hour and have to work 62.8 hours a month to pay $873 in rent. San Antonio is has the lowest rent in the state, but it also has the lowest wage, so workers have to work the most hours to pay for their rent. San Antonio renters make $13.53 per hour and have to work 63.3 hours to pay their $856 in rent. The study also found that big cities in general cost more to live in than more rural areas as evidenced by the fact that in the two cities where you have to work the least number of hours to afford rent, Indianapolis and Columbus, residents are still working 53.8 hours to make rent. At the other end, Los Angeles residents are working 87.7 hours at $13.78 to afford rent. Trying to reduce the number of hours you need to work to make rent? We can help you find a great new apartment that fits in your budget! Give Austin Apartment Specialists a call today at 512-241-1111! 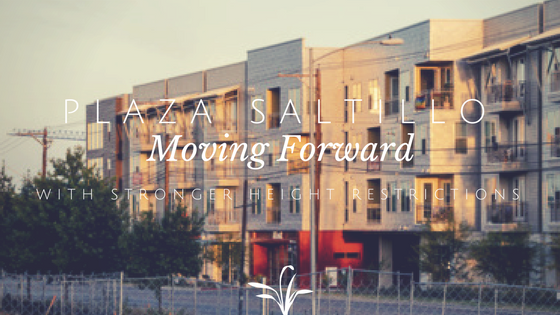 The Plaza Saltillo development in East Austin is set to move forward, but with dramatically lowered allowed heights for the office building portion, the Austin Monitor reports. Endeavor Real Estate Group, the developer of the site owned by Capital Metro, requested a variance to have a 125 foot high office tower. However, city council only granted a 70 foot high limit. Councilmember Pio Renteria, who represents the district that the project is located in, said he wants more time for Endeavor and the East Cesar Chavez Neighborhood Planning team to come to an agreement that would bring a minimum of 141 affordable housing apartments to the project that comprises about half a mile of land from IH-35 to Comal Street between East 4th and 5th streets. The project will be a Transit-oriented development because the MetroRail’s Red Line is in the middle of the development. The planning team maintains that Endeavor isn’t complying with its original promise to designate 25 percent of the 800 apartments as affordable and that the project wouldn’t exceed 60 feet in height. The current plan is for 15 percent of the apartments to be rented as affordable. They also would have the office portion be 125 feet and then the rest of the project would be a little bit more than 60 feet tall. Capital Metro asked the developer to make a bigger office building so the area would have a lot of people during the day to frequent the retail on the first floor. The agency said that only allowing the building to be built to 70 feet would cost CapMetro $36 million in rent income and the city $22 million in property taxes over the 99-year lease that Endeavor is subject to. Are you looking to find an apartment in East Austin? Apartment Specialists South Austin can help! Give us a call today at 512-912-8000 to find your dream apartment in East Austin or anywhere in the city! 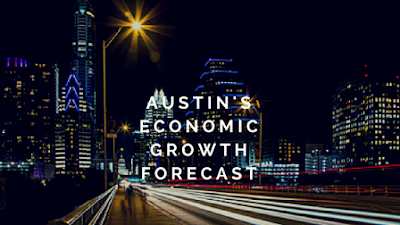 Building ATX reports that the annual economic forecast by AngelouEconomics predicts that in the next year, the economy’s growth will slow somewhat compared to previous years. Over the next two years, 100,000 new people are expected to make Austin their home and employment will increase by over 3 percent through 2018. Trade, transportation, and utilities will see over 1,000 new jobs, the biggest job growth of any industry in 2017 and 2018. However, Austin will continue to be held back by our lack of affordable real estate, both for housing and commercial space for businesses. Home prices have gone up by seven to eight percent annually over the last three years and Austin’s office space averages $34.83 per square foot and industrial space averages $9.27 per square foot. Austin has the 7th worst traffic congestion in the US which holds back economic growth. The report said that money must be put into an assortment of transportation infrastructure to solve this problem. The report also cautions if affordability and transportation issues aren’t solved, Austin’s economic development could fall dramatically. Need help finding an apartment that fits into your budget? Give Austin Apartment Specialists a call today at 512-241-1111 and we’ll find your dream apartment right away! The first draft of CodeNEXT, the overhaul of Austin’s Land Development Code, has been presented to the City Council, the Austin Monitor reports. The previous code was huge and hard to navigate for both homeowners and developers. It had over 400 ways that zoning regulations could be combined, between zoning districts and special overlay districts. The hope with the new code rewrite is to make it much easier to know what can be built and where around Austin. CodeNEXT also plans to follow the Imagine Austin plan, a roadmap for the next 30 years that hopes to put the brakes on a long tradition of creating sprawl with new development in favor of an Austin that is compact and easily traversed by foot, bike, and via public transportation to cut down on the car culture. The draft breaks Austin into six zones that it calls transects, which are: natural, rural, suburban, general urban, urban center, and urban core. Those designations are then divided even more into subcategories to suggest how urban they are to set forth what kind of development can be built there. The city wants to push affordable housing as well and the code hopes to streamline up Austin’s efforts to provide affordable housing. CodeNEXT will continue to follow environmental protections that Council has passed in the past such as Save Our Springs and water and tree protections. The company who consulted on CodeNEXT encouraged people to be patient and to provide constructive criticism rather than completely dismissing the changes. However both those who want to see Austin become more urban and those who oppose development were unhappy with the new code. The former president of the Austin Neighborhoods Council, which is generally against development for fear of ruining the character of Austin neighborhoods, said that she worried that areas that are zoned for single-family homes would be allowed to be developed for commercial uses. The city’s Planning and Zoning Department said that new commercial uses aren’t allowed in any of the zones. A founding member of AURA, an urbanist group whose opinion is often opposite of the ANC’s on development, was disappointed with the code as well, primarily with the fact that it continues to maintain existing neighborhood plans and does not simplify code at all. The city wants to hear opinions from all Austinites will use that public input to tweak the code. Tonight, Wednesday February 1st, an open house is being held from 4-6pm at the Palmer Events Center to allow the public to get to know the CodeNEXT draft. Next steps will be a proposed zoning map in April, followed by a response from the Land Development Code Advisory Group in June, which will then be used to create a second draft in August. The City Council will get a first reading of the proposed Code in December that they will adopt, but they won’t approve it until its final reading in April 2018. Looking to make your home in Austin? 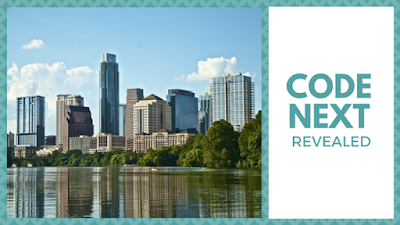 Give Austin Apartment Specialists South Austin a call today at 512-912-8000 to find your dream apartment right away!